Molding process of glass products, particularly optical glass products, such as aspherical glass lens, a ball lens and a prism, adopts direct molding technology. Optical glass products manufactured with this method do not require grinding, polishing and other subsequent processing steps. It can greatly improve production efficiency, output and quality. 6) Long service life and low cost. The traditional molds are mostly made with stainless steel or heat-resistant alloy. Those molds are easily oxidized at high temperature and the crystal grains will grow under repeated thermal shock, which makes the surface of molds rough and adhere to the glass. 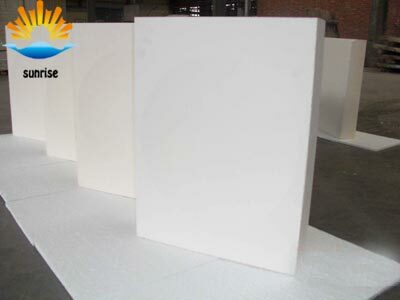 To overcome to these shortcomings, a type of ceramic glass mould brick with good chemical stability, strong thermal shock resistance, high strength and good mold-releasing performance is developed. It can achieve a high degree of smoothness after polished and can even be used without polishing. The glass mould brick has excellent wear resistance, good mold-releasing performance and high smoothness. It can rarely react with glass and has long service life.